How do Noise Cancelling Earbuds compare to NC Over-the-ear headphones? Generally, both the sound quality and noise-cancellation are better on the over-the-ear NC headphones. That’s because they have a lot more space for electronic circuits to be placed. However, NC earbuds have the clear advantage of being light-weight and portable. That’s why they’re generally the headphones of choice when it comes to sports/workouts! Of all the NC earbuds, the Bose QuietComfort 20 Acoustic Noise Cancelling Earbuds are in a class of its own. Their noise-cancelling is SUPERB, almost as good as those high-end over-the-ear headphones. However, they’re awfully expensive for a pair of earbuds. Audio quality is almost as good as that of the over-the ear NC headphones, and way better than most other NC earbuds. Aware mode – this is similar to the ‘open mic’ feature of the Plantronics BackBeat PRO Bluetooth headphones. Basically, ‘aware mode’ allows some of the ambient noises to be heard. If it wasn’t for aware mode, you’d have to take the earbuds off every time you wanted to hear outside noises. Imagine you’re at the airport waiting for an announcement about a rescheduled flight. What would you rather do? Turn off your music and stare at the screen or listen to your favorite music with aware mode turned on? It’s also useful in certain situations like when walking on the busy streets New York. You don’t want to cut down outside noises completely when you’re on the streets, because that will likely get you in trouble, if not get you killed! Aware mode is NOT complete turning OFF of noise cancellation. You still have background noise cancellation to a certain limit. The ‘aware mode’ button is conveniently located on the in-line controller. StayHear+ tips – as you may have already noticed, these soft tips have two parts. First the actual eartip that goes inside your ear canal. Secondly, the cone shaped part that fits snug inside your ear lobe. This second portion helps the eartips stay put inside your ears without popping out even with rigorous exercise. Three pairs of StayHear+ tips are included in your purchase (small, medium and large), so that you can pick the size that fits your ears best. Long battery life – with a single charge you can have up to 16 hours of playback time. This is a rechargeable Lithium ion battery located inside the ‘control module’, the little square device you see on the picture above. This control module houses not only the battery, but also the active noise cancelling circuitry of these earphones. The other complaint people make is about the cord/cable. It’s a little thicker than other cables and those who have gotten used to regular cords on earphones can find this to be irritating. The good thing about these is that they don’t get tangled as easily as others do. May be that’s why Bose made them this thick. Active or passive noise cancellation? These Audio Technica QuietPoint Earbuds cancel out as much as 90% of the background noises by ACTIVE means. In other words, the noise canceling circuitry inside its control module generates audio signals of the opposite polarity of distracting external noises identified by the strategically placed microphones in each earbud. These signals of the opposite polarity cancels out the ambient noises and thereby achieve active noise cancellation. Of course, all earbuds partially block the entry of external noises by passive means as well (by causing a tight seal between the ear canal and the eartip). AAA battery: unlike the Bose QC20i that has a non-replaceable rechargeable battery, these run on a replaceable AAA battery. This means that you can have a spare battery in your pocket all the time and use it once the current battery runs out. No need to worry about recharging (unless you use rechargeable batteries of course; even then, you can use the spare battery). This gives the earbuds a looooong battery life of 60 hours as well! Great audio quality: one of the common problems with these smaller earphones is lack of bass. In contrast, these buds produce very decent lows. Built-in mic? Yes, there are a couple of mics dedicated to detecting background noises. However, this doesn’t have a mic for the purpose of telephone conversations. This is a major drawback of this model. 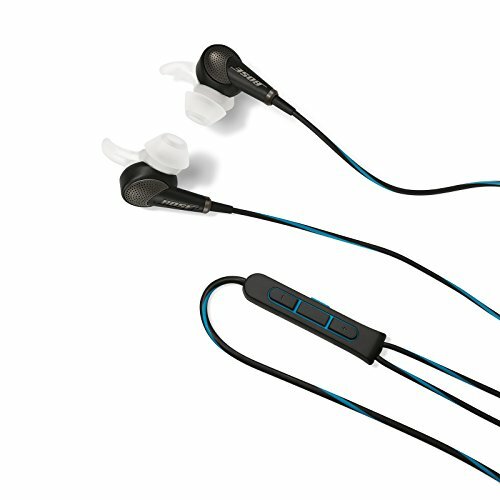 However, it is a lot cheaper than the Bose QC 20i and therefore a pretty popular model among ANC earbud enthusiasts. Price: VERY attractive compared to the Bose QC20s. The prices range from ~$25 upwards. Don’t expect active noise cancelling-quality noise cancellation or superb audio quality from these. However, they do a decent job for most of us on a budget without sacrificing too much sound quality! Has a built-in mic for use with cell phones – compatible with both Apple and Android phones. Other passive noise isolating models listed below don’t have microphones for phone conversations. Noise isolation earbuds – pressure relieving urethane foam reduces ambient noise. Also help for an outstanding fit. Small, Medium, and Large sizes are included. However, if you want ACTIVE NOISE CANCELLATION, you should check out Bose QuietComfort 20i Acoustic Noise Cancelling Headphones. Bluetooth 4.0 connectivity – compared to previous versions of Bluetooth (e.g. 2.0, 3.0) Bluetooth 4.0 is better on bandwidth, sound quality, energy consumption, battery life, pairing reliability, data rate etc. So, if you have a choice to choose between a model with BT 3.0 an 4.0, definitely go with the 4.0 option! ACTIVE Noise Cancellation technology – Phiaton BT 220 NC Bluetooth Earbuds have built-in noise cancelling circuitry that blocks out as much as 95% of ambient background noise. These Sony Noise Canceling Bluetooth Headphones also have ACTIVE NC technology, however, are not as good as the Phiaton pair in many respects. Multi-point connection: the early models could only connect with one device at a time. But many models like the Phiaton BT 220 are able to connect with two devices simultaneously (e.g. smartphone, tablet PC or MP3 player). This allows you to listen to music on your iPod and answer a call on your Samsung Galaxy Note 4! How cool is that? Includes audio cable – most BT earphones only connect with BT-enabled devices and there’s no way of using them as ‘wired headphones’. But with the BT 220s you get a cable to connect to non-Bluetooth devices. Long battery life – Phiaton BT 220 NC Bluetooth Earbuds has up to 16 hours of call time or 17 hours of music listening time while using the Bluetooth or noise canceling features. You might notice that this is very much longer than the battery lives of the Plantronics BackBeat FIT, JayBird BlueBuds etc. That’s because this Phiaton has a relatively large unit that holds the noise cancellation circuitry and the battery whereas the other models didn’t. 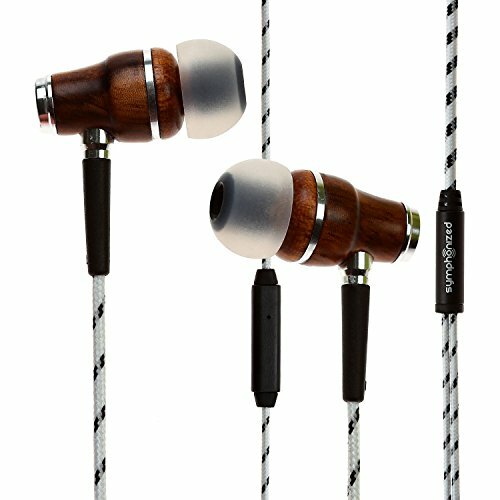 14.3 mm driver size – most earbuds have drivers less than this, some as low as 6 – 8mm. When it comes to driver size of headphones, it’s bigger the better! 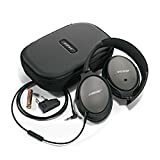 Headphone Hub (http://bestheadphonehub.com/) is a participant in the Amazon Services LLC Associates Program, an affiliate advertising program designed to provide a means for sites to earn advertising fees by advertising and linking to amazon.com, amazonsupply.com, or myhabit.com. Amazon, the Amazon logo, AmazonSupply, and the AmazonSupply logo are trademarks of Amazon.com, Inc. or its affiliates. Certain content that appears on http://bestheadphonehub.com/ comes from Amazon services LLC. This content is provided 'as is' and is subject to change or removal at any time.